Brilliant example of direct metal studio sculpting. 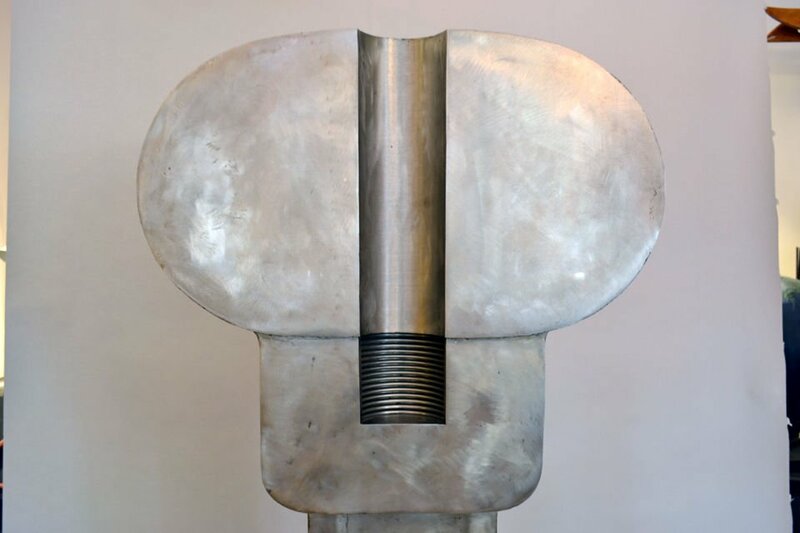 This TOTEM, composed of stainless steel, was exhibited in 1965 at the American Express Pavilion at the New York World's fair. It was the most monumental of the group of totems Hatchett showcased at the fair. It is truly a celebration of the machine.